When I was six I used to pester my Mum for books about fairies – you know the kind - crystal fairies, flower fairies, rainbow fairies. I used to say “Please Mummy – can I have another one of those three minute books?” Because that’s exactly how long it took to read them! This book on the other hand has much more going for it and although it is about fairies (kind of) it is a substantial read. Do you have what it takes to be royalty? Wanted: teenage girl to serve as a substitute princess. Desi snaps up the chance to be a princess without hesitation. 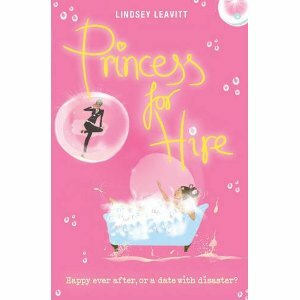 Meredith – her fairy guardian – offers Desi the chance to work at being a substitute for various princesses when they seem to go on holiday. This is a great idea for a series of adventures in which Desi uses royal rouge to transform herself into each of the unique royals and she learns that life on the throne is never easy. On her journey she encounters an array of dazzling events: pulchritudinous princes, pleasurable places and problematic paparazzi. © Agnes Rae, Age 11 .